Chris Eberle is a digital veteran with a passion for building global businesses and communities. 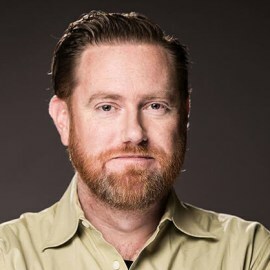 He built the Media Partner Services and Operations teams at Facebook, with global responsibility for connecting public figures, creators, and publishers to create authentic content on Facebook and Instagram. Prior to Facebook, Eberle was a part of startup exits at Federated Media and Meebo (acquired by Google). Earlier in his career he spent a decade at Aol, where he started as a contract worker and eventually served in executive roles in marketing and advertising. An accomplished writer and speaker, Chris has met with influencers ranging from Michael Bolton to the Dalai Lama, and has presented to C-level executives from some of the largest brands in the world. Chris works with companies and organizations that focus on authenticity, quality, democracy, and social good.